We are proud to present our internal Research Center, with representation from several European countries, led by Dr. Silke Machold. Every year we actively sponsor several international events and researchers related to board work. We wish to indicate the great value, which solid scientific documentation has in our work. Our Research Center ensures, that the methods and the knowledge which we apply and communicate, is based on the newest research related to board performance and board behavior. This association between this network and BOARD GOVERNANCE A/S makes it possible for the researchers to get input from practical board work, while we constantly have the possibility of updating and developing our board education, to make sure that we can provide the best conditions of creating value. Examples hereof are BOARD GROUND ZERO™, as well as the development of more useful development tools and material, which is applied on our own educations and in internal governance courses for Danish and international companies. Our Research Center contributes with knowledge and research of primarily the humane side of board work. On our board educations we train individuals to master these value creating mechanisms on a how-to level. In the board recruitment phase, we identify which ressources, competencies and human attributes will make a difference for the ongoing board work. In the board review we analyse which initiatives has the largest effect on the ongoing board work. In this way, we can live up to our value proposition CREATING BOARD VALUE™. Our research network is represented from several European countries. Hereunder you can see all the researchers and the working areas. Read more Morten Huse her. Read more Silke Machold her. Read more Mariana Brogi her. Read more Luca Gnan her. Read more Alessandro Hinna her. Read more Michelle Mörner her. Read more Janicke L. Rasmussen her. Read more Taina Tukianen her. Read more Hans Van Ees her. Read more Alessandro Zattoni her. Read more Katrin Hansen her. NOREFJELL is a research workshop, which has examined the human aspects of board work, focusing on how the board can create value in the best way possible by taking advantage of all available resources and competencies. BOARD GOVERNANCE A/S Research Center was founded on the NOREFJELL workshop. The workshop currently consists of more than 50 researchers, who collectively have published many books, and published various scientific articles about board work. At the NOREFJELL workshop, it is discussed how to seek new possibilities in creating value, through emphasizing on the human and dynamic aspects of board work. The workshop is held yearly by Norefjell in Norway, and participation is only possible through a personal invitation. Every year 25-35 researchers attend from several countries. 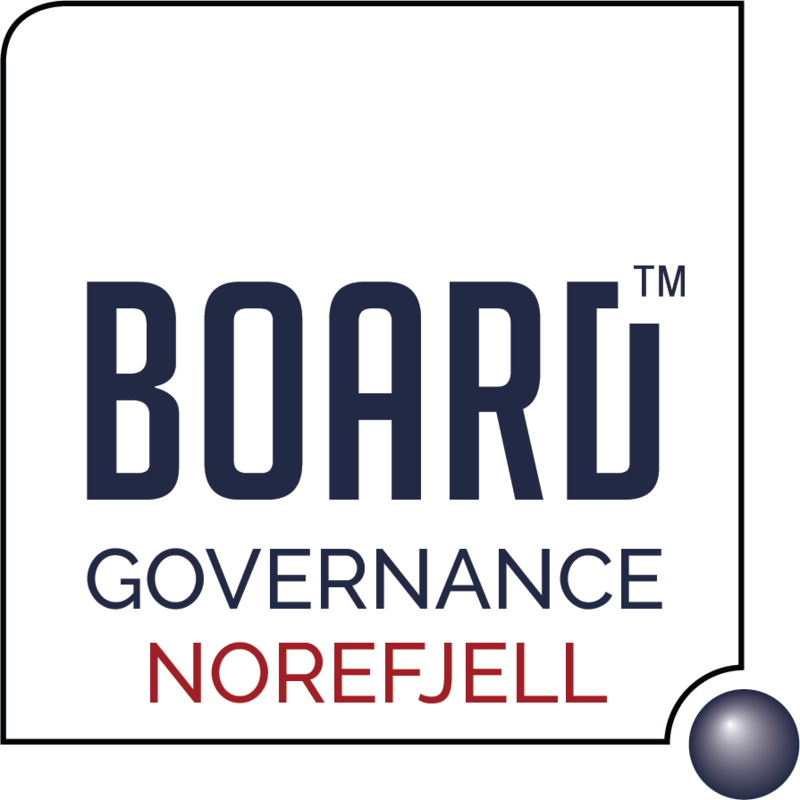 The book The Value Creating Board: Corporate Governance and Organisational Behaviour (Routledge 2009), written by Morten Huse, describes the professional position of the NOREFJELL group and NOREFJELL BOARD GOVERNANCE International Research Workshops. BOARD GOVERNANCE A/S is an active part of the groups research work, and uses researchers from the group’s members for presentations, seminars and counselling.